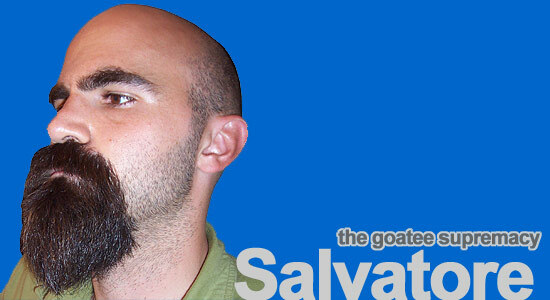 Salvatore is featured on all about beards for his goatee supremacy: the highest in excellence and achievement! His large-scale, industrial-strength goatee and mustache are in a class all their own. Salvatore’s photos appearing here were taken exclusively for all about beards . Click on the image below to go to Salvatore’s photo album. Photos are courtesy of Salvatore and are used with permission. All photos are subject to the site’s conditions of use.